Together with my friend Loek van den Ouweland I have created our new website: ExtensionMethod.net. 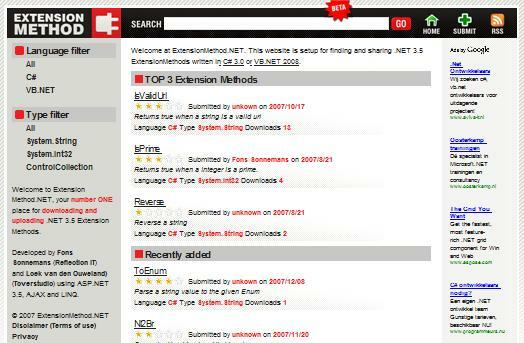 This website is setup for finding and sharing .NET 3.5 ExtensionMethods written in C# 3.0 or VB.NET 2008. I hope you will use it to publish your own extension methods. It is still in BETA but we hope to go live real soon.